It is our last day here and tonight is the Festival of the Kings which starts at dusk. 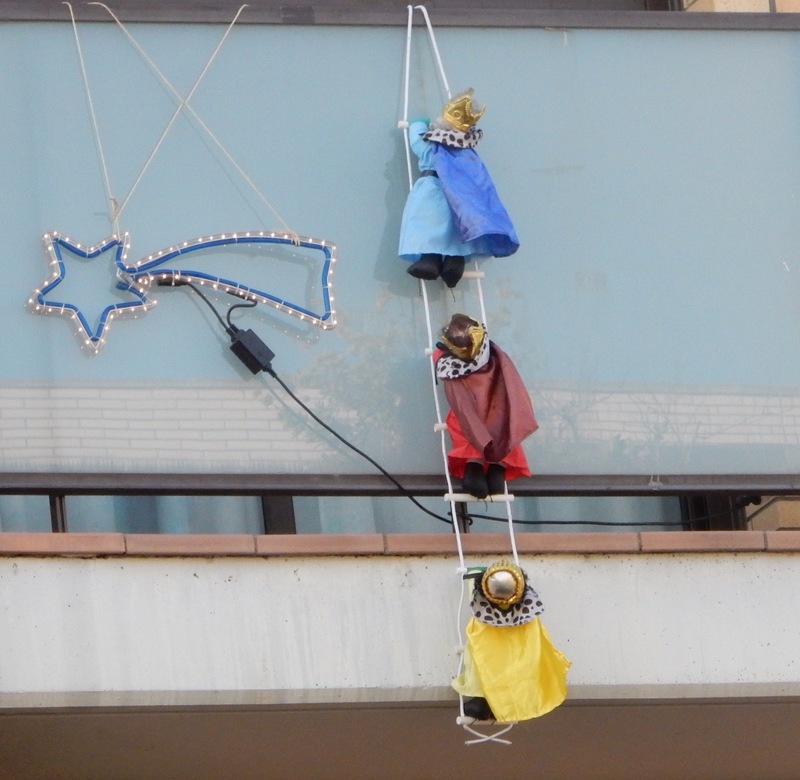 On our walk around today we saw that people have been hanging out Three Kings as they did the Santas on December 24th ready for presents to be delivered tonight. 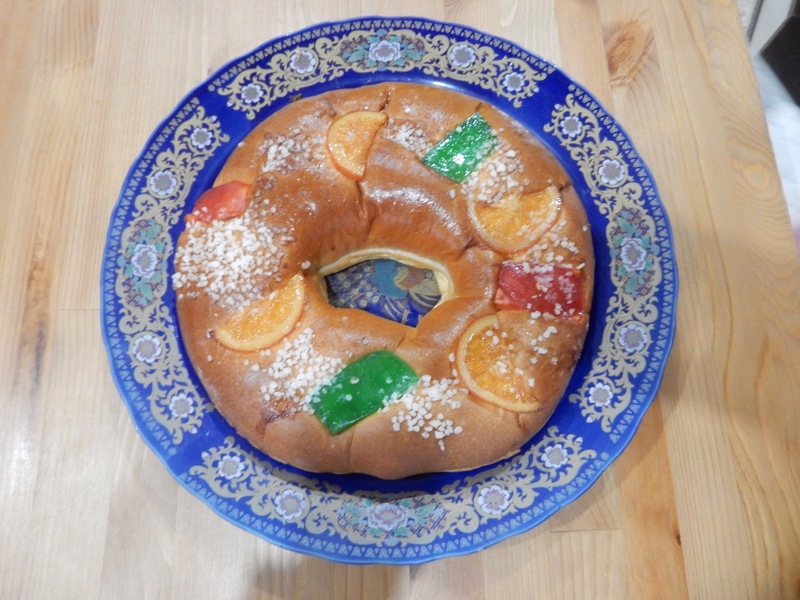 In the bakery with our LiveWire we bought a Kings’ Cake, Roscon de Reyes, a beautiful looking sweet bread ring with fruit on top and surprises inside. Traditionally, it is supposed to be eaten for tomorrow’s breakfast but we had some this afternoon as we will be leaving very early in the morning. 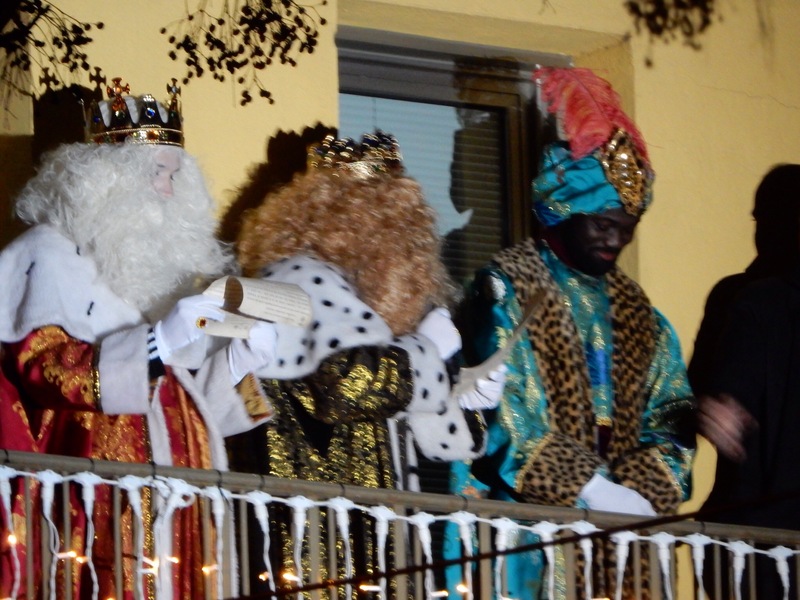 As night fell, crowds started passing our door and we joined them to see the Parade of the Kings which started on the balcony in the town square and continued all around the town with the Kings throwing sweets out at the crowds! I so enjoy learning about other cultures. Nice post and photos ! Sally, is this the same as the celebration of Epiphany, the last day of Christmas?